The 2019 graduating FSC481Y internship class, at the end of a successful Forensic Science Day. Far left: Dr. Tracy Rogers, course instructor and program director, and teaching assistant Vanessa Rossi). A big congratulations to the 2018-2019 Internship FSC481Y class! On Saturday, April 6th, 31 forensic science specialist majors presented their year long research in their internship fields. Talks subjects ranged from submerged bodies in Lake Simcoe, to anemia in natural deaths, to transgender death investigations in Ontario, to provide only three of many examples. The Forensic Science Program is incredibly proud of the hard work our specialist students have executed throughout the year, culminating in this annual event. A special thanks to The Blind Duck for the fantastic lunch and reception, as well as the UTM Print & Copy Centre for their efforts in also making the day a success. (Left) Incoming internship student Kim Tran is introduced to a potential mentor by Internship Coordinator Teresa Cabral. (Right) 2019 Internship students Charlotte LeFévre, Amy Dylewska, Yoanna Mustilier and Marvimar Castroverde pose around the now iconic FSC Program banner. A full gallery of the 24th Annual Forensic Science Day can be found here. (Inset: The welcoming slide for C.U.F.F.S. 2019). On Friday, April 5th, Canadian Universities for Forensic Science (C.U.F.F.S) hosted their inaugural conference entitled, "Promoting Collaboration" right here at the UTM campus. Speakers, delegates and guests from all over the country attended to offer discourse on collaboration and multidisciplinary approaches to forensic science. The Forensic Science Program's own professors Dr. Vivienne Luk and Wade Knaap held a fascinating talk on cross-course collaboration. The welcoming statement was given by UTM's own Principal, Ulrich Krull, and many of our students gave talks or poster presentations. Congratulations to all of our community members who contributed to this day's success! With a sizeable turnout, interesting topics, and lots of great giveaways, this conference brought some of the best and brightest Canadian forensic minds together. (Inset: Retired Detective Constable Wade Knaap and Dr. Vivienne Luk discuss the importance of collaboration, as exemplified in their cross-course project, combining FSC311 - Forensic Chemistry and FSC407 Advanced Forensic Identification). For a gallery of the day's events, follow this link. For more about C.U.F.F.S., be sure to check out their website or Facebook page. (Inset: Forensic students Jocelyn Huang, Emma Smith, Esme Newling, Leanne Byrne, Alida Trieu). On Sunday, March 31 2019, the Forensic Science Program helped welcome prospective students to our campus. We offered information presentations given by our academic advisor Teresa Cabral, one-on-one discussions with professors Dr. Luk and Dr. Novroski, and tours of the CSI house run by undergraduate volunteers. A big thank you to our team for helping the the best and brightest in high school with their biggest decision yet! (Inset: Forensic students Evie Strickland and Nicole Chow answer questions, while Charlotte Le Fevre, Kevin Kim and Emma Tighe represent the IVNVI Forensic Society. Volunteers not shown: Tatiana Babolas, April Abit). Students have been de-enrolled in order to be shifted to the new course number, slated to come online soon. At this point, you are de-enrolled but not enrolled in anything else. We are aware of this change. The Registrar’s office is currently in the process of changing the course numbers for LEC0103 and LEC0104, which require students to be removed from FSC350. We expect everyone's enrolment in the correct courses to be resolved by January. Thank you for your patience, and we apologise for any inconvenience. (Inset: Hailey Chan and Juliette Belanger-Bienvenue ). The forensic science program was featured in the University of Toronto's student newspaper, The Varsity. Check out their article detailing new upcoming courses, and interviews, here. The Forensic Science Program is proud to have been an open source sponser of Forensic Psychology professor Dr. Larsen's latest publication: False-Positives in Psychopathy Assessment: Proposing Theory-Driven Exclusion Criteria in Research Sampling. The method outlined in this paper is intended to be applied to psychology research sampling forensic science. Larsen R. 2018. False-Positives in Psychopathy Assessment: Proposing Theory-Driven Exclusion Criteria in Research Sampling. European Journal of Analytic Philosophy, 14:1. Larsen R, Hastings J. 2018. From Affective Science to Psychiatric Disorder: Ontology as a Semantic Bridge. Front Psychiatry. 9:487. In case you missed it, Dr. Rogers shared her path through research and forensic anthropology, and as a consultant with the Ontario Forensic Pathology Service, for the podcast "View to the U: An Eye on UTM Research". Congratulations to UTM Alumni Meadow and Michael! (Left to right: Professor Wade Knaap (Forensic Identification Instructor), Special Constable Meadow Libby, Special Constable Michael Ho, Doctor Tracy Rogers (Forensic Program Director). Last month, UTM alumni Meadow Libby and Michael Ho were presented with their officer badges as Forensic Special Contables with the Hamilton Police Service. Their roles consist of forensic photography, vehicle examination, fingerprint recovery, DNA collection, and exhibit collection. we are very proud of the hard work and dedication you have exhibited as representatives of our program! New Spring courses now available! Enrol now! Two new Special Topics courses are now available for spring enrolment. They will be taught by our professor of forensic biology, Dr. Novroski. Apply today! The goal of this course is to gain a basic understanding of the case management involved in missing persons, disaster victim identification, and unidentified human remains cases. Topics covered will include the interdisciplinary interactions between anthropology, odontology, fingerprinting and forensic genetics in the identification and databasing of both missing persons and recovered unidentified human remains. This course will explore Massively Parallel Sequencing (MPS), a next-generation technology used for DNA typing in research and many clinical areas. The focus will be on forensic applications of the MPS technology, however other uses such as health and disease research, genome-wide association studies (GWAS), and potential RNA and protein applications will also be discussed. Note: These courses satisfy the UTM Science Distribution Credit Requirement. Congratulations to the Forensic Science Graduate Class of 2018! A very sincere congratulations to the entire graduating class of 2018, including, but not limited to, the FSc specialist graduates (pictured above). We are very proud of all of your hard work and dedication, and we know there will be great opportunities in your future, as alumni of UTM! The degree being sought must be related to employment in the field of Forensic Identification. Undergraduate applicants must be in third or fourth year during the Fall term of the year in which the award is to be given. Applicants must have a cumulative grade point average of 3.0 or higher on a 4.0 scale. Congratulations to the FSC481Y Internship Class of 2018 for successful Forensic Science Day! An entire semester of hard work, networking, and research culminated in fascinating and engaging presentation of their work. For a full selection of photos from the day's events, check out the IVNVI Society's Facebook Album Here. Third year student Allana Braga, in the Forensic Anthropology Specialist Program, was featured in a segment on Daily Planet. You can watch the clip here. Student research from the University of Toronto Mississauga reveals new information about Indigenous homicides in Ontario. 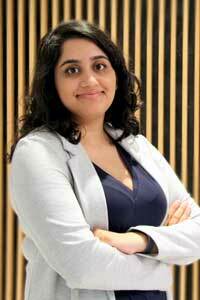 The study by Navneet Aujla, a fourth-year student with UTM’s Forensic Science program, confirms and updates 20-year-old conclusions that Indigenous people are more likely to be victims of homicide compared to the general population, and pinpoints homicide hotspots in the province. Congratulations to program director and course instructor Dr. Tracy Rogers, who was recently announced as one of the best people of 2017 by Star columnist Heather Mallick"
"[As] One of Canada’s leading forensic anthropologists, she studies what bones and ashes have to say to the living. Having worked on the Pickton serial killings, she remains meticulous, even physically entering the extermination chamber that Dellen Millard bought to incinerate the kidnapped Tim Bosma in 2013....When I think of the Bernardo-Homolka serial killings, where a lazy autopsy of Karla Homolka’s little sister made the subsequent killings possible, I so value Rogers’ intelligence and care. It continued in the Millard-Smich trial over the murder and incineration of Laura Babcock." Dr. Rogers' commitment to hard work and integrity is a great example to future forensic scientists in our program. Last month, Professor Cahn was featured in The Medium, discussing the importance of experience in an education of forensic science, and what students can gain in the fourth year internship course. On October 11th, 2017, UTM sessional law professor Enzo Rondinelli was called to be one of the ten new judges appointed to the Ontario Court of Justice. We are extremely proud to congratulate professor (now Justice) Rondinelli, who has been an adjunct professor at the Osgoode Hall Law School since 2003, and teaches FSC360: Evidence, Law and Forensic Science in Canada at the University of Toronto Mississauga. Justice Rondinelli was called to the bar in 1997, and most recently worked with the Pro Bono Law Ontario-Supreme Court of Canada Assistance Program, the Pro Bono Inmate Appeal Program and the Legal Aid Ontario Committee. Earlier this summer, Justice Rondinelli won the Ontario Bar Association Award of Excellence in Criminal Justice. Chief Justice Lise Maisonneuve has assigned Justice Rondinelli to preside in Toronto, and we are very fortunate to have him in such an honourable position within our legal system! In August, a number of students and faculty attended the 21st Triannual meeting of the International Association of Forensic Sciences (IAFS). Our students represented UTM Forensic Sciences through a variety of excellent presentations and posters. Congratulations to everyone pictured, and those we missed! Congratulations to the FSC481Y Internship Class of 2017 for successful Forensic Science Day presentations! Congratulations to the FSC481Y Internship Class of 2016 for successful Forensic Science Day presentations! "If the law has made you a witness, remain a man of science. You have no victim to avenge, no guilty or innocent person to convict or save - you must bear testimony within the limits of science." U of T Mississauga's Forensic Science Honours (Hons) BSc program, the first of its kind in Canada, is designed to provide the student with an understanding of scientific analyses, theories, laboratory skills, applications, and field techniques. Specialist programs are offered in the fields of forensic anthropology, forensic biology, forensic chemistry, and forensic psychology. A double major program is also available to students, to be taken in conjunction with a major in anthropology, biology, chemistry, or psychology. On Friday November 27th between 12pm and 2pm, police officers from the Peel Regional Police will be in the Davis meeting place with coffee and timbits. This is a unique opportunity for students who are interested in policing or related fields. The officers will be there to answer questions and talk about how they developed into their roles. There is no sign up or registration required, just show up and have a coffee and timbits on us! Congratulations to the FSC481 Internship Class of 2015! Our annual Forensic Science Day and 20th Year Celebration was a great success. Click here for photos of the event. To read the full article on our event, click here and enjoy! The University of Strathclyde will be holding an info session on their MSc/PgDip/PgCert in FORENSIC SCIENCE on Tuesday, March 31st, 2015, 12 noon - 1 pm, in DV1092A. 2015 Toronto Police Service Forensic Identfication Services 25th Educational Coference "Forensic Examination The Silver Lining" MAY 12th - May 15th, 2015. For conference/registration information click here. To view the job description, requirements and rated competencies, click here. Congratulations to our class of 2014! Wanted to tour the CSI House on campus but couldn't make it out to our events? Eugene Liscio has put together a video using laser scanner software that showcases all three floors of the house. Job alert: York Regional Police is hiring for 9 Forensic Identification Assistants. Job details here. Over the holidays, CTV News aired a clip showcasing the CSI Club at Cedarbrae Collegiate Institute, an afterschool program that was designed by a forensic science alumni and current M.Sc. student at UTM, Jessica Lam. UTM's CSI House was featured in the very first "Where We Work" series. 40 students from David Leeder Middle School came to UTM for their Discovery Day and helped solved a "crime" on campus. The Forensic Science program hosted activities and demonstrations such as 3D facial reconstruction, grave search and excavation, and crime scene processing. The CSI House at the University of Toronto Mississauga is featured in Discovery Channel's Canada's Greatest Know-It-All. Dr. Tracy Rogers (Director of the forensic science program), Joel Cahn (PhD candidate), Agata Gapinska (forensic science lab technician), and Jessica Lam (graduate of the forensic science program) were involved in the staging and judging of the candidates. Dr. Tracy Rogers, along with University of Toronto Mississauga students, participate in the search for Shirley Treadwell. Many of the volunteers are undergraduate students taking the forensic anthropology field school course.